Stephen is Founder, Managing Partner and Chief Investment Officer for Galapagos Partners, L.P. 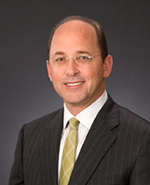 Since 2006, Stephen has been CIO of Ned S. Holmes Investments, Inc., and President since 2001. He has also been managing the Lack family office since 1988 as Owner and President of Lack Holdings, a firm established in 1932. Stephen started his career as an Investment Banker with Merrill Lynch & Co. in New York. Stephen earned an AB in Classics with Honors from Brown University, an MBA from Harvard Business School, and a MPH from the Environmental Sciences Division of the School of Public Health at Columbia University. Stephen, a native Houstonian, lives in Houston with his wife and three children.